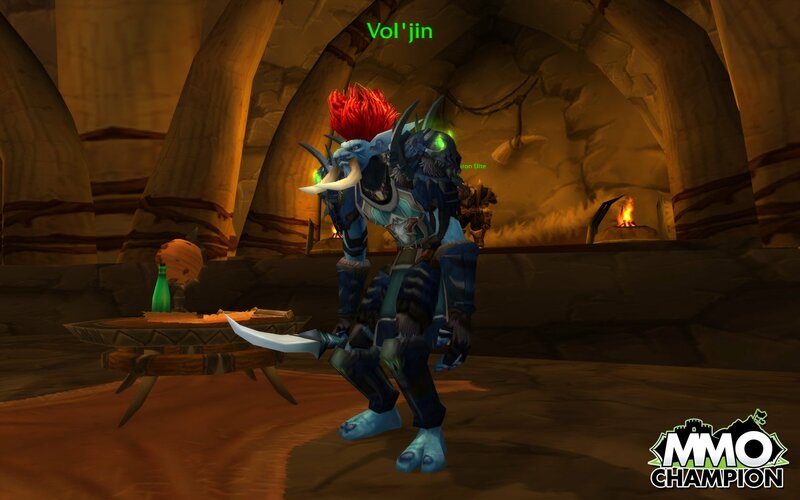 After Wiping trying to kill Garrosh Hellscream, our Moon Guard FTA team decided to try Vol’Jin for fun. A few members were taken out flying over the island by Darkspear Watcher, so somebody hit Path of Frost to land and regain health, and discovered that the attack cursor wouldn’t appear on Vol’Jin. I landed and confirmed this. This NPC can be found in Durotar (2).